I Only Have Red Pills » And so I ran a marathon…. And so I ran a marathon…. There it is! The medal that proves that I just finished my first marathon. In an end time that I initially aimed for but never thought that I would be able to run that today 3:29:09. An amazing experience to run this race. Finishing in the Olympic Stadium with the last 200 m on the track course of the stadium, looking to the sky and crossing that finish line. Contrary to what The Cure state in their song “Boys don’t Cry”, sorry but they sometimes do. The journey up to this was definitely not an easy one and went quite bumpy to say the least. I did not start this marathon in the shape that I wanted to be in when I signed up for the event on December 31st 2014. In the last months leading up to the event I struggled with weight, form and motivation, but I wanted to run and finish it and nothing except a physical injury would have been able to stop me. Disclaimer: This post is not about agile, work, coaching or anything related to that, there are no parallels or learnings related to a business context in this post. This post is about me. So if you want to find out a bit more about me keep on reading. So here I am, a finisher of the marathon distance 42 kilometers and 195 meters of running. A distance of which I have actually said out loud that I would never even try to do that, but somehow I did. In the past days building up to this moment I have been thinking a lot about who I am, where I am and how I came here. Especially for people that don’t know me that long yet it might come as a surprise that I wasn’t always as fit as I am now. In fact I was the perfect example of a couch potato with the amount of exercise limited from moving to and from the place where I parked my car. 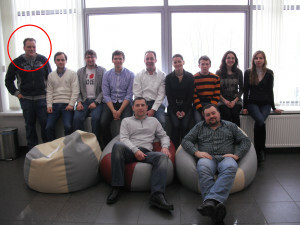 The picture on the left dates from February 2011. In the left corner that is me, weighing in at roughly 125 kg. Earlier in my life between 2002 and 2006 I enjoyed a sporty life with quite an amount of cycling, a bit of running and some gym visits, but nothing out of the ordinary. After 2006 it went downhill and I turned back into the couch potato I was before that period. This was the result of a life in which I spent most of my time at work and eating in an unhealthy mannerer and hardly did any exercise. This was not me, this was not me at all. Then somewhere in 2011 I decided it was time for a change. Slowly I started picking up sports again and changing my eating habits. Resulting in gradually dropping weight step by step. But it wasn’t until march 2014 that I made the switch to the person I once was and am now. At the beginning of March 2014 I was supposed to run the 10 km at the City Pier City run in Den Haag, something I signed up for a year before, confident that I would be fit enough to run it at a decent pace. A week before the race I could hardly run half of the distance without collapsing, and so I did not start and quietly disposed the bib tag in the trash bin. A few weeks after that I once and for all turned things around and changed my life for good. Starting exercising and running regularly I became fitter and fitter. And along the way my girlfriend Astrid had picked up running as well and together with her I had signed up for a race again. 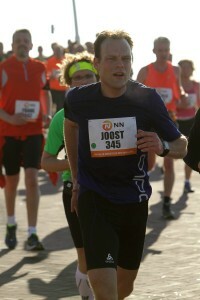 This time the 10 km in Etten-Leur, my home town. We ran this race together with Astrid’s sister and her sister’s boyfriend. Finishing the race, both Astrid’s and my first one ever, in just over one hour. Time was not the goal here, finishing all four together was and so we did. And now it was time for more. Having unfinished business in Den Haag I signed up for the CPC run in Den Haag again, this time for the full distance, the half marathon. 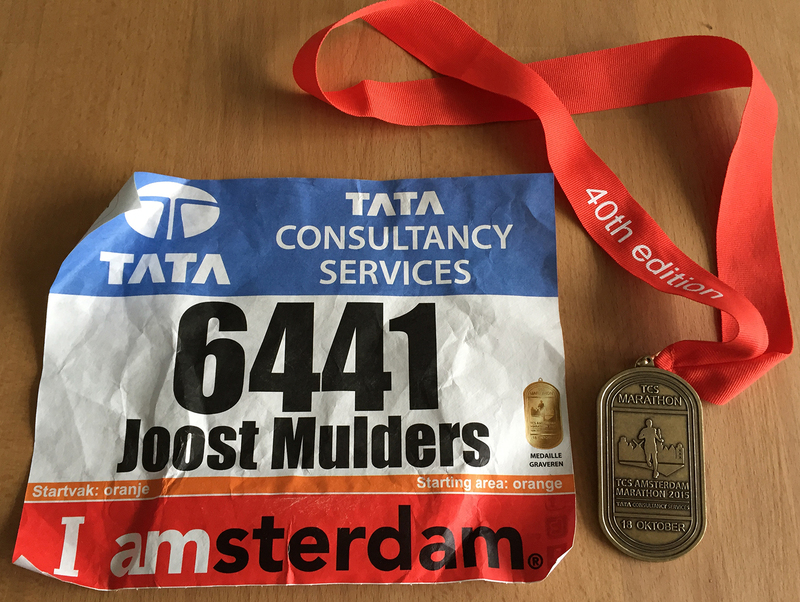 March 8, 2015 at 14:30 I passed the starting line in Den Haag, setting of for 21.1 kilometers through the city where I did not even dare to start the year before. For me this was certainly a big moment and in hindsight the deciding moment of how I started approaching running from that point onwards. The unfinished business was not just about me not starting in 2014, that wasn’t the first time I had signed up for the event. 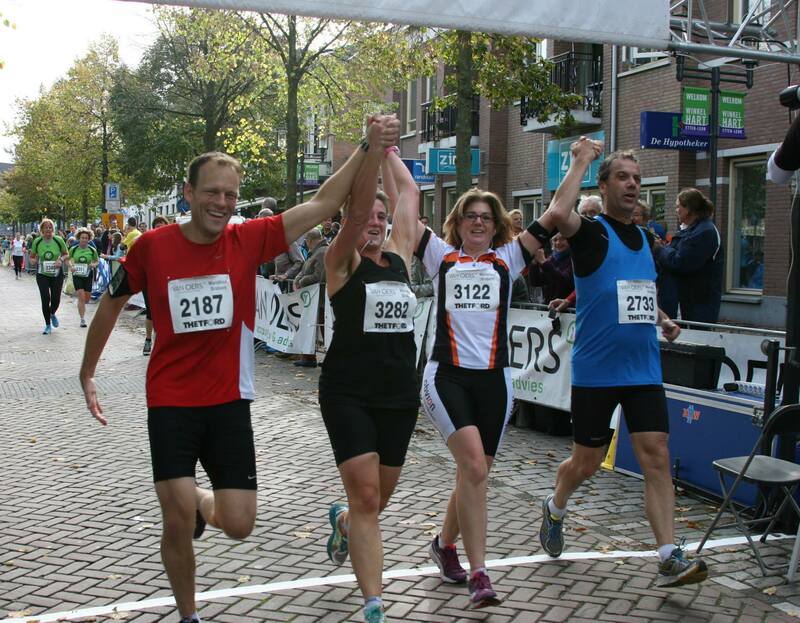 In 2013 I also signed up for the 10 km in Den Haag, together with a colleague who I also considered as a very good friend. 2 months before that CPC run she died of a heart attack on her holiday. Unable to motivate myself to keep training for it I did not start. Starting the half marathon after two DNS entries on the 10 km, I was now ready for this challenge. Despite some setbacks during training because of some injuries I was going all out for it. Having to start the race in the 1:50:00 and above target time starting area because I did not have proof of being able to run a faster time I spent 21.1 kilometers in one big rush passing one runner after the other, slicing through the field. Cheered on by the spectators of the event and thriving on the loud music coming from several DJ booths I surpassed my own expectation and was going faster than ever. I hardly remember the last few kilometers of the race and looking back to some of the official race pictures it seems like I was running in a state of trance. Eventually I passed the finish line in 1:36:41. And that’s when I knew it, that’s when I knew this is who I am and what I wanted more of. After that running became an even bigger part of my life and I ran at one event after the other. 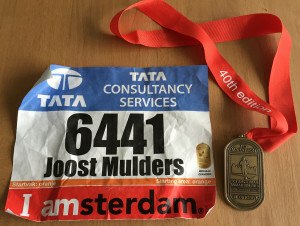 1/4th Marathon in Utrecht, Business estafette run in Rotterdam with my colleagues from Mendix (the company that I work for), 5 km in Leiden, 1/2 Marathon in Leiden (in which I crushed my PR and put it on 1:33:36), 16 km Maastrichts mooiste, 16 km Dam tot Damloop. And now the Marathon of Amsterdam. And it didn’t end there, no in fact it was just about to start. Although running on the road in these events is fun, it is no match for the fun experienced in trail-running a sport I discovered in january 2015. The excitement and fun in running through forrest, over hills and mountains adds an extra dimension to running. Initially convinced into trying this sport by my girlfriend I fell in love with it and have enjoyed some great runs already. And of course running some trail races was the next step, the 25 km Veluwezoom trail, the 12 km Houffalize night trail and the toughest until now, the 31 km Trail des Fantomes with 1300 m of ascents in it. And to top it all of a full week of trail-running in the French Alps, an awesome experience of running in a beautiful environment with a very tough en challenging terrain. A week consisting of running, climbing gletsjers and free climbing rocks in running gear. Out of the comfort zone? Yes. Dangerous? Probably, but such awesome experience I would not want to miss out on and surely want more of in the future. Trail-running makes me experience running on a whole different level, it is no longer just about pace and distance like running on the road. It is about running, climbing, constantly searching for new limits and enjoying amazing environments and views along the way. Trail-running is my sport! Back to today. 10 months into 2015 and a year since my first race, that 10 km in Etten – Leur, I have completed my first marathon. The biggest race until now but not the last, there are bigger things to come. Running doesn’t stop at the marathon for me. It is a step that leads up to more. What does more mean? I don’t want to think about where the limit will be so who knows were it will end. What I do know is that in 6 weeks I will be running my first ultra trail race of 55 km and that I have already set a few challenges for next year, the biggest being the 75 km Trail des Fantomes trail race with 3000m in ascents. Already looking forward to the intense training needed for this. Being a runner defines who I am. For me it is about searching for the boundaries of my abilities, looking for new challenges and constantly stepping out of my comfort zone. But also about freedom and enjoying life to its fullest. I feel privileged to have this life, and even more by enjoying all of this together with my love Astrid, who loves me for what I am and all that I am not. Who has chosen to spend her life with me, supports me and even joins me in these challenges. It is a very big achievement if you manage to get into this shape and condition within little more than 1 year. Thanks Pieter, of course I did not start at zero a year ago, but indeed from running a 10km to this fitness level in less than a year is an achievement I am quite proud of.